A lot of mistakes are made in spelling word. Even though if you are very fluent in your language it is nature writing with spelling mistakes. So every one need to proof read after they complete writing. A few words in English we can make spelling mistakes frequently. 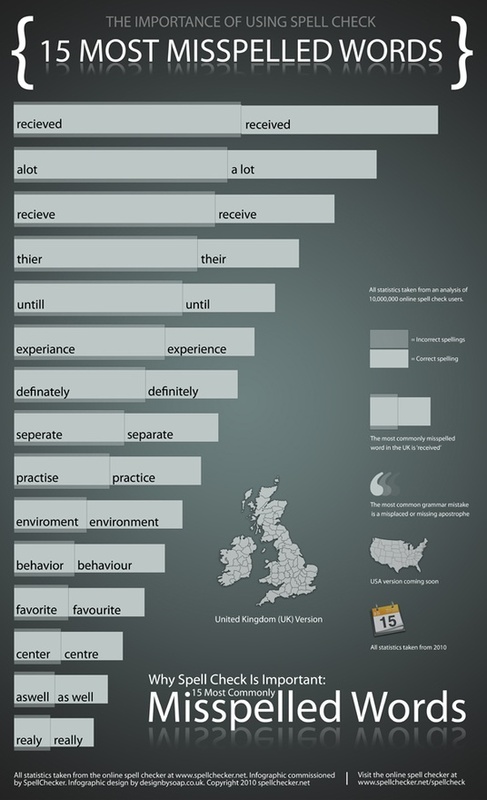 Here below the infographic tells the 15 Most Misspelled words in English.